You'll get an access to Volleyball Newsletter by joining our Friends List. Newsletter includes volleyball game and practice tips - volleyball drills, skills, tactics, conditioning exercises and rules among others. 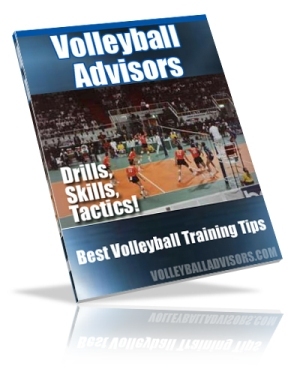 Volleyball Advisors - Best Volleyball Training Tips. I promise to use it only to send you Best Volleyball Training Tips. you can send us questions and one of our volleyball experts answers you in a short article or reply to you directly. you don't need to search the web or ask around for volleyball information, you will get valuable information from it. you get a notification when information is added on the website. you get current training information straight from the field, from our network of top notch junior volleyball coaches and international coaching experts. When you join the Friend List, you'll receive a link to download our Mini eBook - Four Secrets of Spike Approach. You will get tips to improve your spiking and jumping ability. By joining our Friends List you get the password to access the member's areas on the website. Join today and get access to member's section, while it is still open for public. If you want to see past issues of the volleyball newsletter, click the link HERE.